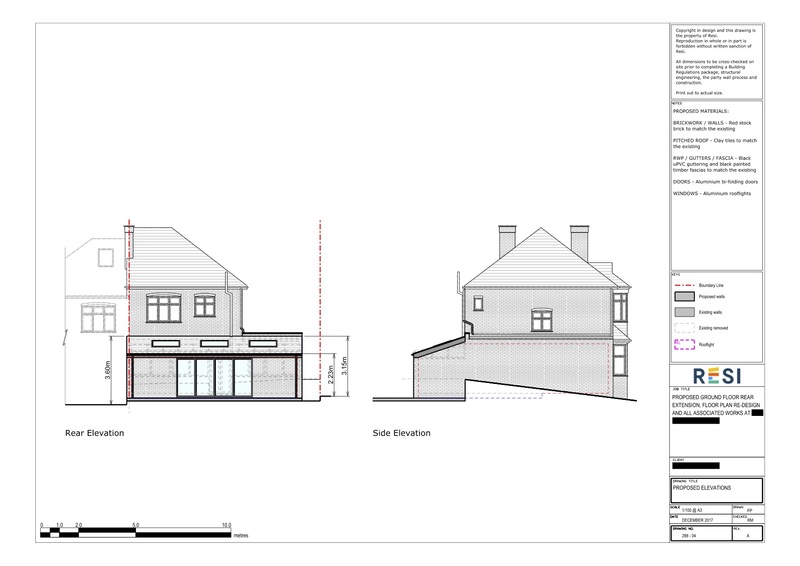 Our client came to Resi looking to remove their conservatory, and in its place have a rear extension. 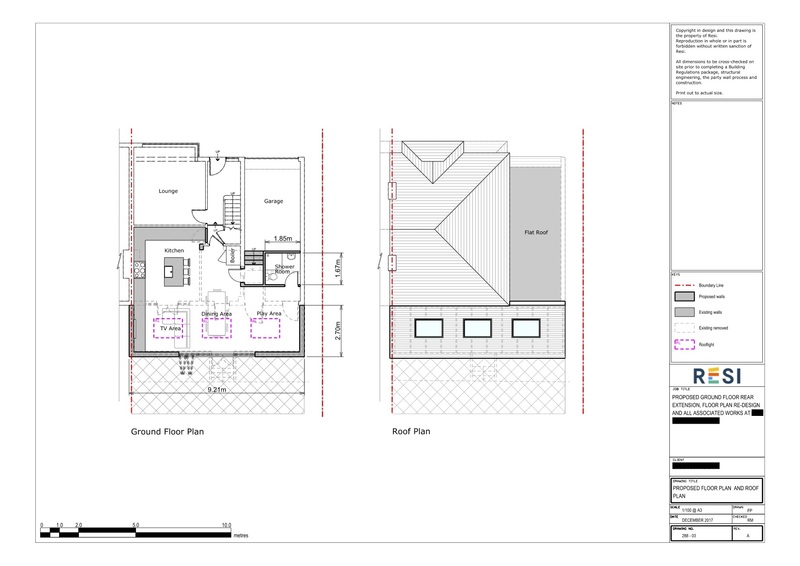 We designed a plan that would maximise the new floor space they had available to them, which resulted in a large room that held the kitchen, TV area, dining area, AND play area! If that’s not open plan, we don’t know what is. Our client decided that their ‘must have’ detail was an area that incorporated a kitchen, dining, and play area. This was to be designed with lots of natural light. They also requested Velux doors that would lead out to the back garden. I decided that the best way to maximise space was to remove the conservatory, and from this create a large, open plan kitchen area. Internal walls were rearranged in order to ensure that space was allocated appropriately - for example, the bathroom was pushed forward to take space from the garage and add space to the living area. In order to ensure there was plenty of natural light in the new build, I added three skylights to the living area, and bi-fold doors facing out towards the garden.